Locate or download a picture. Import it to the Photos app by dragging it into the app window. 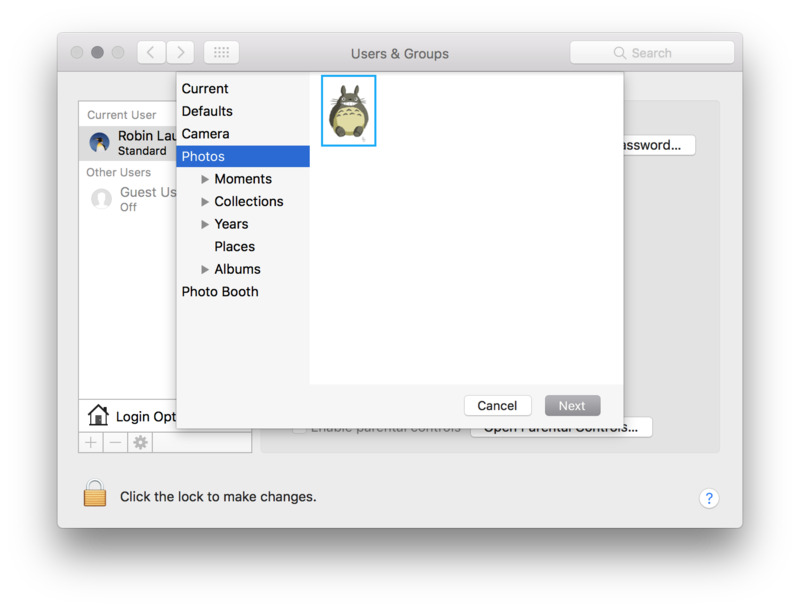 Open System Preferences and enter Users & Groups. Click the user and then the profile picture. It’ll say “Edit” when hovered upon. Choose “Photos” as your source – which indeed is the “Photos” app and not your ~/Pictures folder. Select the newly imported image, click Next, zoom and crop to your liking, and click Save. That’s it.